Please telephone 826969 (8.30am – 5.00pm: Mon – Fri). We suggest that you try to see the same doctor whenever possible because it is helpful for both you and your doctor to know each other well. We try hard to keep our appointments running to time, and ask you to be punctual to help us achieve this; if you cannot keep an appointment, please phone in and let us know as soon as possible so that it can be used for someone else. Please try to avoid evening appointments if possible. Each appointment is for one person only. Please ask for a longer appointment if you need more time. Liz Stuart, Martina Scott and Helen Stranger are available daily by appointment to help you with dressings, ear syringing, children’s immunisations, removal of stitches and blood tests. They will also advise on foreign travel, and can administer various injections and blood pressure checks. For any over 75s unable to attend the clinic, Helen Stranger will make a home visit. AII three Centre Nurses are available during normal working hours to carry out health checks on patients who have been on doctors’ lists for 3 years. Our receptionists provide your primary point of contact-they are all very experienced and have a lot of basic information at their fingertips. They will be able to answer many of your initial queries and also act as a link with the rest of the team. They may request brief details of your symptoms or illness – this enables the doctors to assess the degree of urgency. There are seven types of scholarship offered by Bramley College to enrolled international students to assist with the costs of their courses. With the exception of applications for scholarship category E, all newly-enrolled international students are automatically considered for these scholarships. The scholarship is awarded in the student’s first year as a credit to second-semester course fees. In all subsequent years, the scholarship is awarded as a credit to first-semester course fees. The scholarships are awarded once per year unless otherwise stated. A One scholarship of A$2000 for the most outstanding students entering the Foundation Studies Program from each of the following countries: Singapore, Malaysia and Thailand. An additional six scholarships are available for students from other countries. These scholarships are offered on two dates, to students in the March and June intakes of the program. Scholarships are awarded on the basis of first semester results. B Three scholarships providing 25% of course fees for the duration of the course to the three most outstanding State Certificate of Education (SCE) students entering a Diploma or Certificate program. Scholarships are awarded on the basis of the previous year’s SCE results. C Seventeen scholarships providing 25% of course fees for the duration of the course to outstanding Diploma or Certificate students entering each Bramley College School: three each in the Schools of Business and Engineering; two in the School of Applied Science; two in the School of Environmental Design and Construction; two in the School of Art and Design; two in the School of Social Sciences and Communications; one in the School of Biomedical and Health Science; one in the School of Education and one in the School of Nursing. Scholarships are awarded on the basis of first semester results. D One scholarship of A$4000 per annum for the duration of the course to the most outstanding student entering the Diploma in Communication. Scholarships are awarded on the basis of first semester results. E Nine scholarships of A$3000 per annum for the duration of the course to the most outstanding students commencing any Advanced Certificate course. Scholarships are awarded on the basis of Basic Certificate results (not SCE results). Note that applicants need to apply for this scholarship on the Bramley College International Scholarship Application Form. F One full-fee scholarship to the most outstanding student commencing a Diploma in Art and Design (Photography) course. This scholarship is offered every second year, and is awarded on the basis of results obtained in the Certificate in Design course. G Four half-fee scholarships to outstanding students of Bramley College’s Singapore campus for the final year of the two-year Certificate in Business Studies to be completed in Melbourne, Australia. Scholarships are awarded on the basis of first-year results. Bramley College now has full electronic information resources in the College Library to help you in your studies. On CD-ROM in the library, we have about fifty databases, including many statistical sources. Want to know the average rainfall in Tokyo or the biggest export earner of Vanuatu? It’s easy to find out. Whether you are in the School of Business or the School of Art & Design, it’s all here for you. You can conduct your own CD-ROM search for no charge, and you can print out your results on the library printers using your library photocopying card. Alternatively, you can download your results to disk, again for no charge, but bring your own formatted floppy disk or CD-ROM. If you are not sure how to conduct a search for yourself, library staff can do it for you, but we charge $20 for this service, no matter how long or how short a time it takes. All library workstations have broadband access to the Internet, so you can find the web-based information you need quickly and easily If you are unfamiliar with using the Internet, help is available in several ways. You can start with the online tutorial Netstart; just click on the Netstart Icon on the Main Menu. The tutorial will take you through the basic steps to using the Internet, at any time convenient to you. If you prefer, ask one of the librarians for internet advice (best at quiet times between 9.00am and 11.30am weekdays) or attend one of the introductory group sessions that are held in the first two weeks of each term. Sign your name on the list on the Library Bulletin Board to guarantee a place, as they are very popular. A word of warning: demand for access to library workstations is very high, so you are strongly advised to book a workstation, and we have to limit your use to a maximum of one hour at any one time. Make your booking (for which you will receive a receipt) at the Information Desk or at the enquiry desks in the Media Services Area (Level 1). Also, use of the computers is limited to Bramley students only, so you may be asked to produce your Student Identification Card to make a booking, or while using the workstations. Per capita water usage has been on an upward trend for many years. As countries industrialise and their citizens become more prosperous, their individual water usage increases rapidly. Annual per capita water withdrawals in the USA, for example, are about 1,700 cubic metres, four times the level in China and fifty times the level in Ethiopia. In the 21st century, the world’s limited supply of renewable fresh water is having to meet demands of both larger total population and increased per capita consumption. The only practical ways to resolve this problem in the longer term are economic pricing in conjunction with conservation measures. Agriculture consumes about 70% of the world’s fresh water, so improvements in irrigation can make the greatest impact. At present, average efficiency in the use of irrigated water in agriculture may be as low as 50%. Simple changes could improve the rate substantially, though it is unrealistic to expect very high levels of water-use efficiency in many developing countries, faced as they are with a chronic lack of capital and a largely untrained rural workforce. After agriculture, the industry is the second biggest user of water and, in terms of value added per litre used, is sixty times more productive than agriculture. However, some industrial processes use vast amounts of water. For example, production of 1 kg of aluminium might require 1,500 litres of water. Paper production too is often very water-intensive. Though new processes have greatly reduced consumption, there is still plenty of room for big savings in industrial uses of water. In rich countries, water consumption has gradually been slowed down by price increases and the use of modern technology and recycling. In the USA, industrial production has risen fourfold since 1950, while water consumption has fallen by more than a third. Japan and Germany have similarly improved their use of water in manufacturing processes. Japanese industry, for example, now recycles more than 75% of process water. However, industrial water consumption is continuing to increase sharply in developing countries. With domestic and agricultural demands also increasing, the capacity of water supply systems is under growing strain. Many experts believe that the best way to counter this trend is to impose water charges based on the real cost of supplies. This would provide a powerful incentive for consumers to introduce water-saving processes and recycling. Few governments charge realistic prices for water, especially to farmers. Even in rich California, farmers get water for less than a tenth of the cost of supply. In many developing countries there is virtually no charge for irrigation water, while energy prices are heavily subsidised too (which means that farmers can afford to run water pumps day and night). Water, which was once regarded as a free gift from heaven, is becoming a commodity which must be bought and sold on the open market just like oil. In the oil industry, the price increases which hit the market in the 1970s, coupled with concerns that supplies were running low, led to new energy conservation measures all over the world. It was realised that investing in new sources was a far more costly option than improving the efficiency of use. A similar emphasis on conservation will be the best and cheapest option for bridging the gap between water supply and demand. One way to cut back on water consumption is simply to prevent leaks. It is estimated that in some of the biggest cities of the Third World, more than half of the water entering the system is lost through leaks in pipes, dripping taps and broken installations. Even in the UK, losses were estimated at 25% in the early 1990s because of the failure to maintain the antiquated water supply infrastructure. In addition, huge quantities of water are consumed because used water from sewage pipes, storm drains and factories is merely flushed away and discharged into rivers or the sea. The modern approach, however, is to see used water as a resource which can be put to good use – either in irrigation or, after careful treatment, as recycled domestic water. Israel, for instance, has spent heavily on used water treatment. Soon, treated, recycled water will account for most farm irrigation there. There are other examples in cities such as St Petersburg, Florida, where all municipal water is recycled back into domestic systems. Another way of conserving water resources involves better management of the environment generally. Interference with the ecosystem can have a severe effect on both local rainfall patterns and water run-off. Forest clearings associated with India’s Kabini dam project reduced local rainfall by 25%, a phenomenon observed in various other parts of the world where large-scale deforestation has taken place. Grass and other vegetation act as a sponge which absorbs rainfall both in the plants and in the ground. Removal of the vegetation means that rainfall runs off the top of the land, accelerating erosion instead of being gradually fed into the soil to renew groundwater. Global warming is bound to affect rainfall patterns, though there is considerable disagreement about its precise effects. But it is likely that, as sea levels rise, countries in low-lying coastal areas will be hit by seawater penetration of groundwater. Other countries will experience changes in rainfall which could have a major impact on agricultural yield – either for better or for worse. In broad terms, it is thought that rainfall zones will shift northwards, adding to the water deficit in Africa, the Middle East and the Mediterranean – a grim prospect indeed. 1. 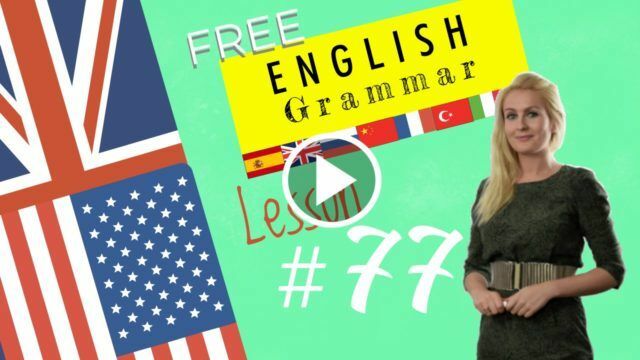 Present perfect simple and Present perfect continuous to help with ielts reading test pdf. An introduction to the B2 first listening section with exercises. 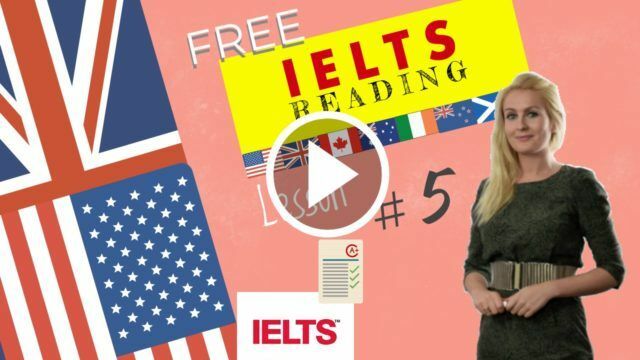 August 21, 2018 Comments Off on An introduction to the IELTS listening online test with exercises.